Why Bandy In The Winter Olympics? Let bandy strengthen the Games! It will lower cost using existing ball-sport venue. 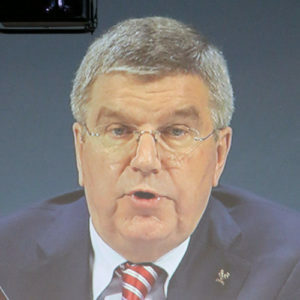 Bandy aligns perfectly with the IOC reforms and Olympic Principles. Bandy is the 2nd largest winter sport. It will instantly expand real ongoing activity. Its youth appeal and popularity will add spectators and audience. Bandy opens the huge ball-sport window. Bandy is the ancient hockey sport of North Asia, Europe and the national sport of Russia. Let bandy strengthen the Games! The IOC Should Welcome Bandy. Games on the 134th Session June 2019 in Lausanne, Switzerland. We support bandy into the Olympics! Bandy is qualified. To include bandy will demonstrate good governance and fair play. On Tuesday April 9, 2019 the petition reached 11 200 signatures and conveyed to the IOC. Support and lend your signature too! success: The Champions League. Started his sports career in AIK bandy. Federation (NFF). Served as NFF President 1988-1992 and 1996-2004.
personality and TV anchor in "Sport by Victoria", for Eurosport in the 2010 Winter Olympics. productions e.g. the recent Vikings, Bel Canto, 22 July and Stockholm. What kind of sport is bandy? Bandy belong to the vast ball-sport family, the World’s most popular sports category. Bandy is the ancient hockey on ice. Bandy is often called football on ice (Rules, 11 players, 2 x 45 minutes halves and pitch-size). Crossing over with hockey (stick and ball), and ice hockey (skates, equipment). The Bandy surface is 3,5 times larger than the NHL standard. The large ice sheet facilitates high speed and agile artistry. Skaters can reach a top speed of close to 50 km/hour and hit the ball over 220km/hour. Bandy is a fast version of football. The speed will fascinate ball-sport lovers. Ball-sport connoisseurs recognize bandy as the agile players’ sport. New spectators and TV audience easily familiarize with Bandy. Rules are close to football. Two 11-a-side teams play 2 times 45 minutes halves on a 100 by 60-meter iced pitch. There are no reserves, but 5 substitutes that seamlessly swap without interrupting the match. Football has in-throw from sidelines, Bandy has in-stroke. Similarly, there are free-stroke inside the playing-field and penalty inside the penalty area. Corners are reminiscent of the hockey (FIH) short corner. The oldest branch of ball-sports is the hockey sports recognized by ball and stick. Curved shaped crooks (the shepherds crook) were used as a stick. In summer time it was played on plains, and winter time on frozen ponds. Mural illustration of ball hockey is found in excavations in Egypt originating 2600 BC. Bandy’s twin summer sports hockey (FIH), Ireland’s Hurley, Scotland’s Shinty/Shinney and Wales’ Bando can, therefore in a way claim to be the oldest team sports. The same way bandy can claim to be the oldest hockey sport on ice. Skates made of animal shack bones 2000 BC and irrigated ponds are found in Hungary. Evidence of ball hockey on skates appears 1000 AD. Regular bandy competitions have taken place at least since 18c. Federation of International Bandy (FIB) is IOC Recognized. Bandy is eligible as a sport for the Winter Games, Olympic Charter Rule 27. Bandy was part of all 7 editions of the Nordic Games 1901-1926, the predecessor to the Olympic Winter Games (OWG). The journal “Revue Olympic” described the Nordic Games as the “Scandinavian Olympiads”. Bandy was excluded in Chamonix 1924 due to a rivalry between Sweden and the IOC over the Nordic Games early 20c. The sports programme of 1924 provides unusually strong antecedents for the contemporary sports programme. Keep updated! Join our mailing list.